Background: CHARM is an electronic programme that develops chemotherapy plans for patients and was adopted for use at Cabrini Health in July 2010. This system also has the capacity to analyse data regarding the parameters around the delivery of chemotherapy. This study is the first to assess its capability as a research tool for audit purposes. Aim : To determine the utility of the data fields in CHARM and to determine the ease of data extraction for audit purposes. Methods : A retrospective audit was performed, covering the three month period (January to March 2012) with regards to the changes in chemotherapy protocol. The data fields to be examined include “add drug”, “delete drug”, “edit drug dose”, “reschedule treatment day” and “cancel treatment day”. The first 3 data fields were further stratified to either chemotherapy drug or supportive drug. This data fields and the reason recorded for the changes were extracted and generated in report for analysis. In January and March 2012, there were 3632 treatment changes in CHARM, of these changes, only 58% was a reason provided. In terms of chemotherapy drugs, the most common reason recorded for drug deletion were treatment toxicity; and for dose alteration was due to “Rounding” followed by “Change in renal function”. In terms of supportive drugs, the most common reason recorded for drug deletion was “drug not required”; and for dose alteration was “change in renal function” .The majority of treatment rescheduling were due to non-medical issues, i.e. public holidays; and for cancelling treatment day was due to disease progression. The process of obtaining the data was laborious and time-consuming, as CHARM reports this cumulative data in complex Excel speadsheets. Conclusion: There are 58% response rate to protocol changes in CHARM. Of those, the majority of the changes are due to administrative reasons, followed by treatment-related factors. The recording of accurate information in CHARM is end-user-dependent. Defined response would improve end-user compliance and strengthened its potential as a powerful audit tool. 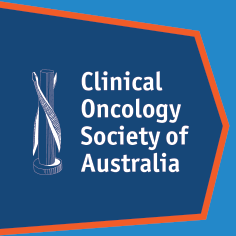 Dr Yeh Chen Lee is an advance trainee in Medical Oncology from Victoria. She graduated from the University of Melbourne with dual degree in Bachelor of Medical Science (Honours) and Bachelor of Medicine and Surgery. As part of her degree, she pursued one year of research fellowship at John Radcliffe Hospital in Oxford, UK. Subsequently, she completed her basic physicians training at the Alfred Hospital in Victoria, Australia.